eDiscovery project managers know to expect the unexpected. That’s why weekly status calls are so important: they ensure our clients understand the implications that new custodians, adjusted search terms or unexpected data types can have on project timelines, budget and goals so they can confidently relay status back to their own clients. Our project management team has diverse law firm, corporate and vendor backgrounds, averaging ten years of industry experience in project management, litigation support, document review and forensic consulting. 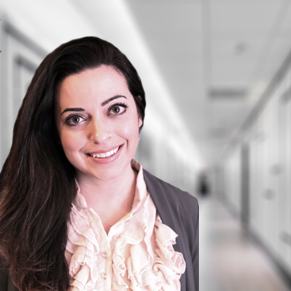 As a project manager, Tatyana Kendinian is responsible for overseeing our clients’ most complex matters, from data processing through final production. Tatyana’s expertise can be seen in the standardization of workflows, high-level reporting and consistent end-to-end communication between corporate clients and outside counsel, both domestic and international. Tatyana has also translated over 12 years of litigation support into building a global support team in order to facilitate the intake, upload, storage and archiving of electronically stored information (ESI) with a breadth of knowledge in the multiple phases of the eDiscovery project life cycle. Tatyana’s experience includes the management of multiple matters across multiple, global data centers. She offers a consultative approach to identifying solutions to complex requests and translates highly technical jargon into an understandable format for clients with a variety of experience in the eDiscovery process to digest. Extensive experience in productions to multiple government agencies including but not limited to SEC, DOJ, FINRA, FTC, FCPA.